Taking into consideration all aspects of Scottish Power Renewables ( SPR Iberdrola S.A.) proposed wind farm, in-shore to Tiree, and following protracted discussion with many stakeholders ,we have concluded that Tiree’s interests may be well served by the formation of a “ NO TIREE ARRAY “ campaign group. We feel that the decision to place such an Array on the Skerryvore reef, and in-shore to Tiree, is based on commercial gain, with scant regard to the environmental, and socio-economic impacts on Tiree. Such disregard sets a very dangerous precedent for all Scottish coastal Communities. 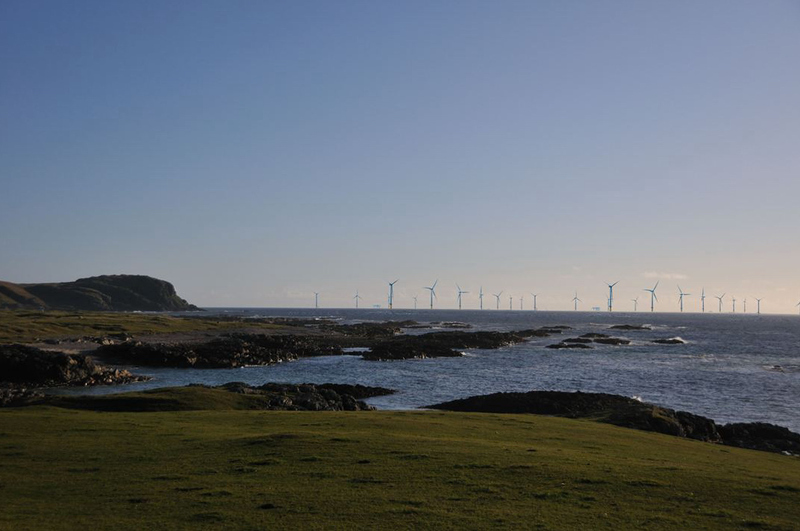 The ‘NO TIREE ARRAY‘ campaign group is not an anti-renewables or anti-green energy campaign. On the contrary we support these aims. Tiree is faced with a so-called offshore wind farm comprising between 180 and 500 turbines, up to 180m high, as close as 5km from the shore. The impact ratios of the proposed Array are extreme. No other proposed Array in Scotland, or Europe for that matter, will have such detrimental impacts on its proximate community. Despite many requests to do so, SPR has refused, so far, to present any montages of the visual impact Tiree can expect from this Array. In most people’s minds, off-shore means out of sight is out of mind. This certainly was UK government’s intention in the 1990’s, when it began to derive its off shore legislation. The DTI has stated out of sight to be more than 24km off shore. Scottish National Heritage has stated, that such is the nature of the Scottish Seascape, the Scottish equivalent should be beyond 35Km. 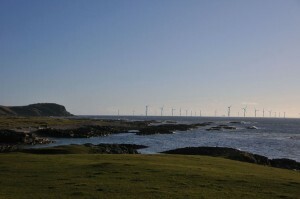 Scottish Power Renewables (Iberdrola S.A.), and maritime renewable energy companies in general, have acknowledged that research and development is in process, to place wind farms in deep water, away from coastal communities and the coastal environment. * To persuade Scottish Power Renewables( Iberdrola S. A.) to adopt ,in full , their own R&D goals, and delay the planning process in all regards to the Tiree Array to place it, and any other proposed Array development, with similar detrimental impacts , OFF- SHORE , i.e. 35Km from the proximate community. * To require all associated construction, support, maintenance, operational infrastructure, and personnel associated with any wind farm array development in waters off Tiree, be placed 35km from Tiree’s shore. We require that these operations do not, at any stage, interface and or impact in any detrimental manner, with Tiree’s unique community, culture or natural environment. * To lobby developers and strategists, of any proposed or existing strategic legislation, to derive any such legislation from the community level upwards. * As we expand the ‘Objective Issues ‘we will openly communicate them to all of our supporters and interested parties. This will ensure we are mutually, and consistently, well informed to secure our primary objective i.e. 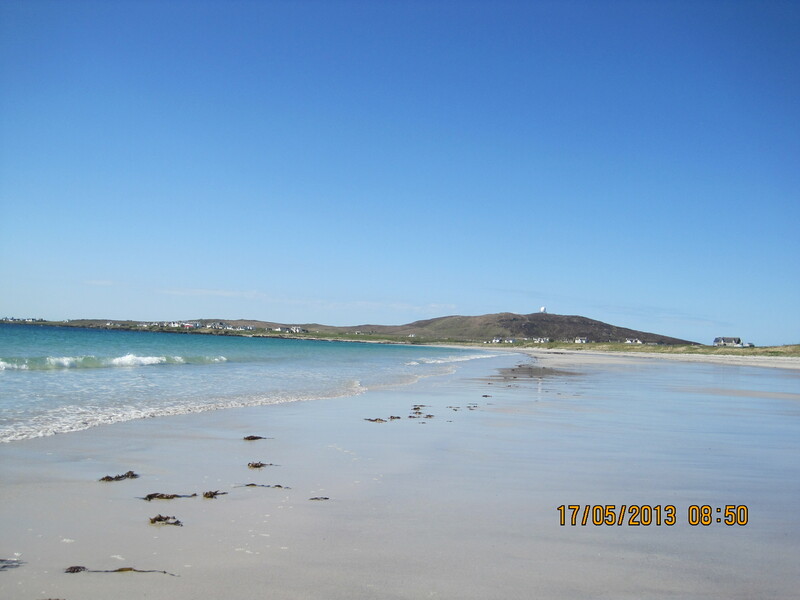 STOPPING the destruction of Tiree’s community, culture and natural beauty. * We will consider legal action, as, when, and if appropriate. YET Another reason to delay the Argyll/Tiree Array. Wait 10 years SPR Iberdrola until you have the proven technology in place to put these power stations away from our homes and coastline out in deep water. The jobs will still be there, the renewable energy benefits will still be there….our communities, landscape and seascapes, bird and sea life will still be there. The only thing that won’t be there is the quick subsidy profits for your Spanish overlords and the messianic rantings of Alex Salmond who seems to be on a quest to now sell Scotland to the highest bidder. As a resident of Tiree – Tiree and its sourounding area should be considered for an application as a “World Heritage Site” – this would put the cat amongst the pidgeons !! I have grace concerns as to the impact on the Island and its way of life – the people must be listened to !! To often in history the big Corporate has run rough shod over the smaller element. I have no objection to renewables but not at the fincnial detriment to a small number of the population – think compensation for residents – make them pay if they wnat it. Property prices would be devalued beyond repair ! !